We think of a die (plural: dice) as a six-sided cube, but there's no reason to limit the toss of a die to one of six possibilities. As any Dungeons and Dragons aficionado will tell you, dice can be made with five possible number of faces: four (tetrahedron); six (cube); eight (octahedron); 10 (dodecahedron) and 18 (icosohedron). But that's it. Five and five only. Why not more or less? In two dimensions, we can draw an infinite number of regular polygons -- that is, figures bounded by straight lines, with equal sides and equal interior angles: triangle, square, pentagon, hexagon ... to infinity (and beyond!). The analogue of the regular polygon in three dimensions is the regular polyhedron, a solid bounded by regular polygons, with congruent faces and interior angles at its corners -- it's symmetrical, so it can work as a die. However, instead of an infinite number, just five regular convex solids exist, in this or any (three-dimensional) universe. 2,500 years ago ago, Plato elaborated the five solids in the Timaeus (360 BCE), hence the moniker "Platonic solids." He associated the classical elements -- earth, air, water and fire -- with the cube, octahedron, icosahedron and tetrahedron, respectively. Aristotle's "fifth element," the ether, presumably corresponded to the dodacehedron. Much later, Johannes Kepler looked to the Platonic solids in his early attempts to rationalize the orbits of the six planets known in his day by nesting the five solids within the orbit of Saturn. Once he abandoned that mystical effort, he soon discovered his three laws of planetary motion, clearing the way for Newton's theory of gravity. 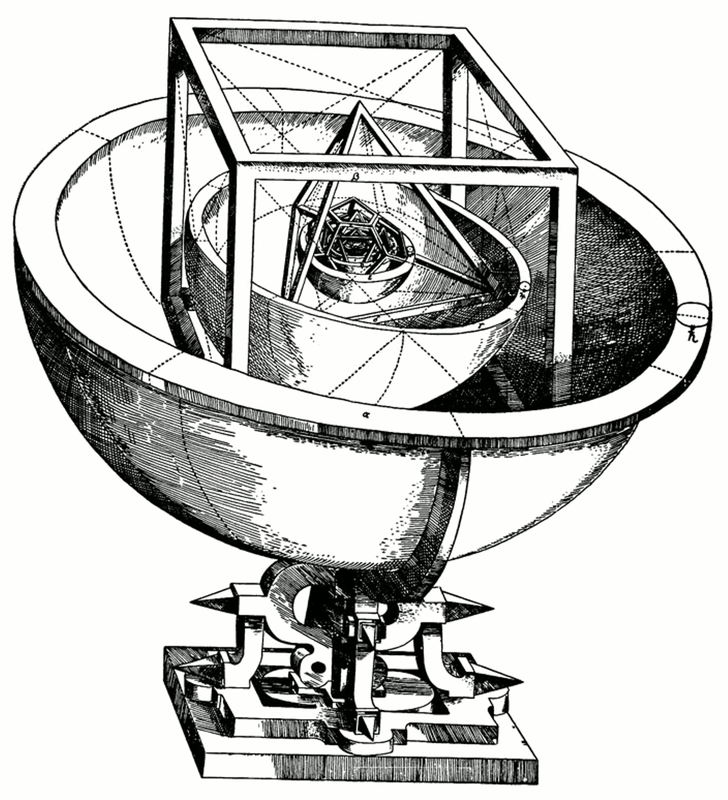 Euclid was probably the first to show that "even God can't create more than five Platonic solids." The proof is simple. A corner of a polyhedron must have at least three faces. Taking the simplest face, an equilateral triangle, we can form a corner with three, four or five such triangles, equivalent to the icosahedron, octahedron and tetrahedron. Three and only three squares will similarly form a corner, giving us the cube -- more than three, and it's no longer a corner. Similarly, three -- and no more -- pentagons are found at the corners of a dodecahedron. Pentagons are the limit, since three hexagons come together in a plane, no corners there. So there's your challenge for the week, or lifetime: invent a sixth Platonic solid. Barry Evans (barryevans9@yahoo.com) thinks that cubic dice are for squares. His books, including the first 80 Field Notes, can be found at Eureka Books.